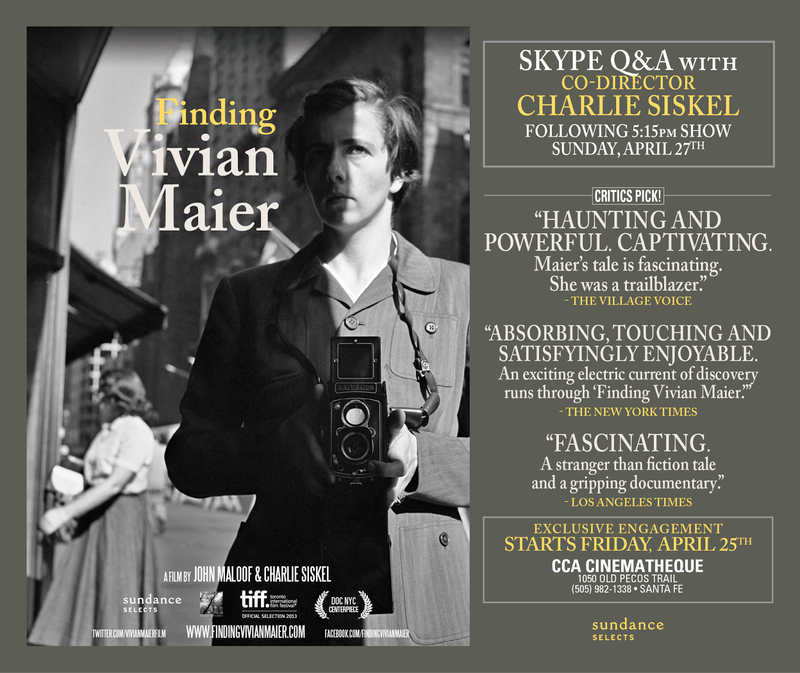 Synopsis: Who is Vivian Maier? Now considered one of the 20th century's greatest street photographers, Vivian Maier was a mysterious nanny who secretly took over 100,000 photographs that went unseen during her lifetime. Since buying her work by chance at auction, amateur historian John Maloof has crusaded to put this prolific photographer in the history books. Maier's strange and riveting life and art are revealed through never-before-seen photographs, films, and interviews with dozens who thought they knew her. *After the 5:15pm show on Sunday, April 27 there will be a skype Q&A with co-director, Charlie Siskel, moderated by Michelle Monroe of Monroe Gallery of Photography. "a celebration of the LIFE magazine photographer who famously shadowed an unknown act in the US on February 1964, The Beatles"
Screaming Girls, JFK Airport, NY, Febraury 7, 1964. Hot off the heels of When Cool Was King, Monroe Gallery of Photography unveils their latest, Bill Eppridge: 1964, a celebration of the LIFE magazine photographer who famously shadowed an unknown act in the US on February 1964, The Beatles. Eppridge was at John F Kennedy airport on assignment for the mag. After consulting with John Lennon, Ringo Starr gave the OK to Eppridge to shadow the group for the next few days and exposed American masses to the British sensation. “Bill never set pictures up; he liked to find pictures and make pictures that way,” Eppridge’s widow Adrienne Aurichio tells SFR. Eppridge’s assignment was just to capture the Fab Four’s arrival. “But nobody expected what happened out there,” she says of the group of rabid fans, some 3,000 strong. The photographer’s gumption paid off and resulted in iconic shots like the group hanging out inside their room at the Plaza Hotel, practicing for their career-making debut on The Ed Sullivan Show and later performing at Carnegie Hall. Those shots are now immortalized in the book The Beatles: Six Days that Changed the World, which Aurichio edited before her husband’s untimely death in October of last year. Aurichio presents and signs the book at the art opening this Friday. 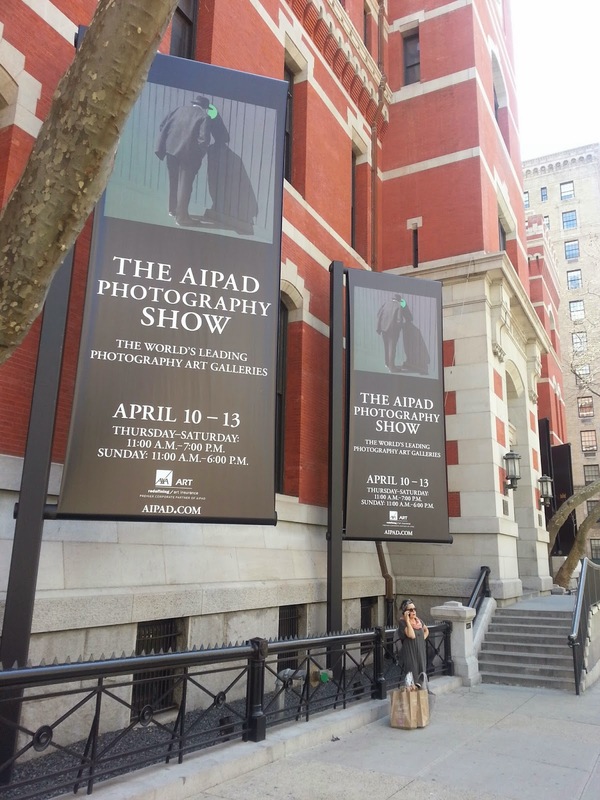 The AIPAD Photography Show continues today, 11 - 7, and tomorrow, Sunday, 11 - 6. We hope to see you in booth #421! NEW YORK—The city’s most important photography show is back at the Park Avenue Armory. AIPAD Phorography Show Day 1: Book signing for "The Beatles: Six Day That Changed the World"
Astonishing, richly spontaneous, and almost entirely unpublished images of the Beatles’ historic first trip to the United States, as chronicled by award-winning LIFE photographer Bill Eppridge given unique access to their tour. Published to coincide with the fiftieth anniversary of the Beatles’ first visit to the United States, this rare and mostly unseen collection of photographs marks the beginning of the British Invasion. In February 1964, photographer Bill Eppridge was on assignment for Life magazine to cover the band’s arrival at JFK airport. He was then invited to continue shooting in their room at the Plaza Hotel and during the days that followed, notably at the Ed Sullivan Show rehearsal and historic performance; in Central Park; on a train ride to Washington, D.C., for the concert at the Washington Coliseum; at the British embassy; and at their renowned performance at Carnegie Hall. The book is an intimate fly-on-the-wall account of a visit that introduced the Beatles to America and changed the course of music, internationalizing the industry and opening the door for other artists to achieve global success. On Thursday, April 10, there will be a special book signing with Bill Eppridge's wife and editor, Adrienne Aurichio, of Six Days that Changed the World. The book was created before Mr. Eppridge died in 2013, and was published posthumously. 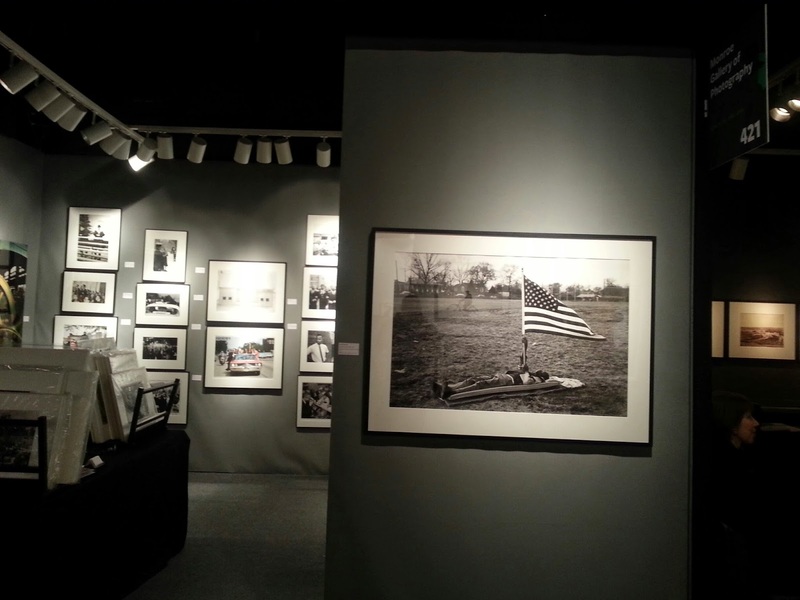 Please join us in Booth #421, Monroe Gallery of Photography, from 4 - 6 PM. From April 25 through June 22, the exhibition Bill Eppridge: 1964 will be on view at Monroe Gallery of Photography. More information about the photographs may be seen on the New York Times' LENS blog. Booth #421. Wednesday through Sunday,April 9 - 13, 2014. 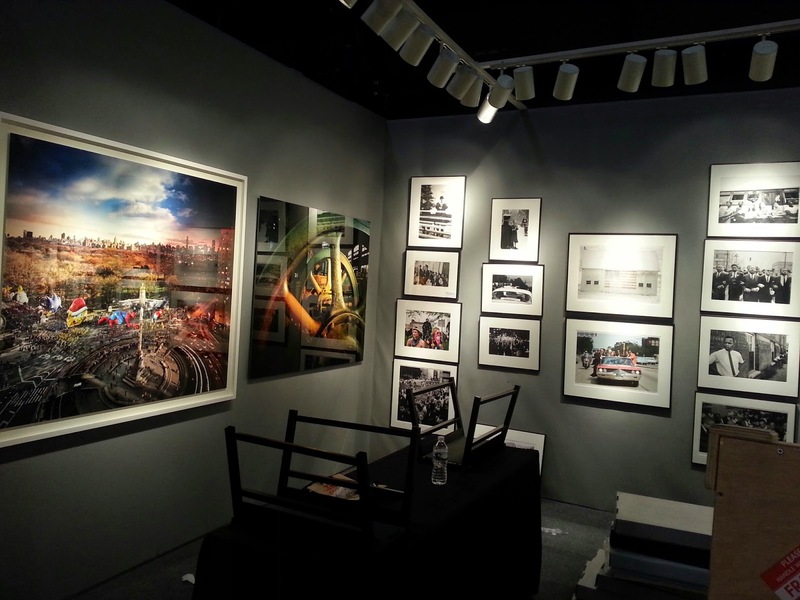 The AIPAD Photography Show 2014. Never-seen photographs shot by LIFE photographer Bill Eppridge as he spent six days photographing the young pop stars during their first visit to the U.S., and their performances on the Ed Sullivan Show. The exhibit will also feature an amazing collection of albums, posters, figurines, pins, fan club ephemera, and collectibles as it explores the idea of fan devotion and Beatlemania. 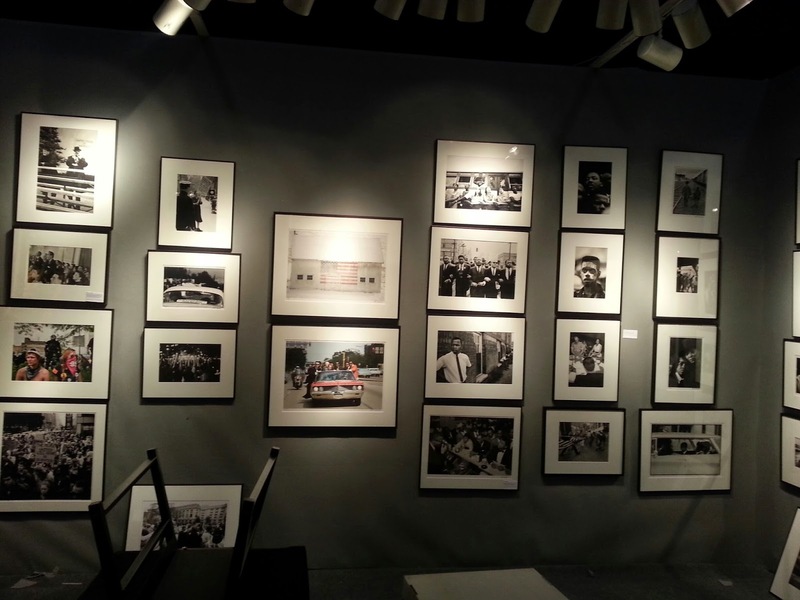 Many of Eppridge's Beatles photographs will be on exhibit during The AIPAD Photography Show April 10 -13 in Booth #421, Monroe Gallery of Photography. On Thursday, April 10, there will be a special book signing with Bill Eppridge's wife and editor, Adrienne Aurichio, of Six Days that Changed the World. The book was created before Mr. Eppridge died in 2013, and was published posthumously. 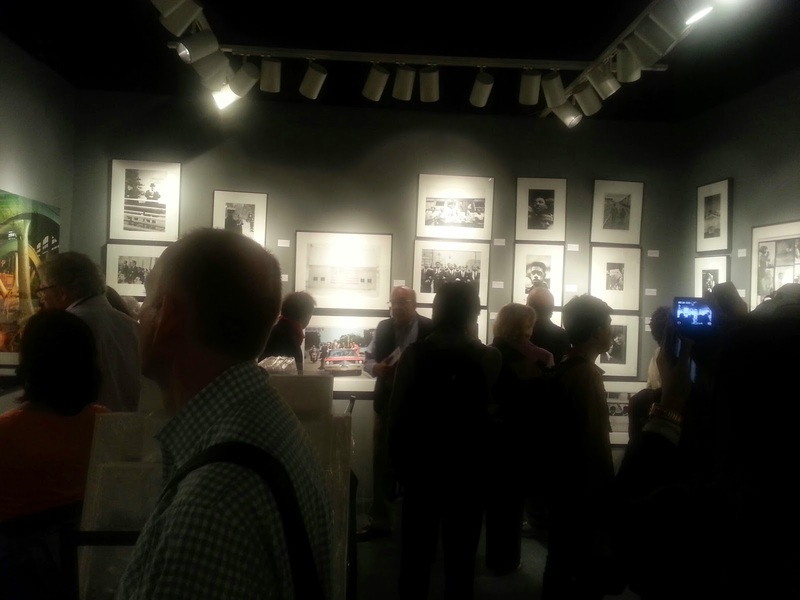 The gelatin silver prints for the exhibition were printed by Catherine Vanaria of Connecticut Photographics.